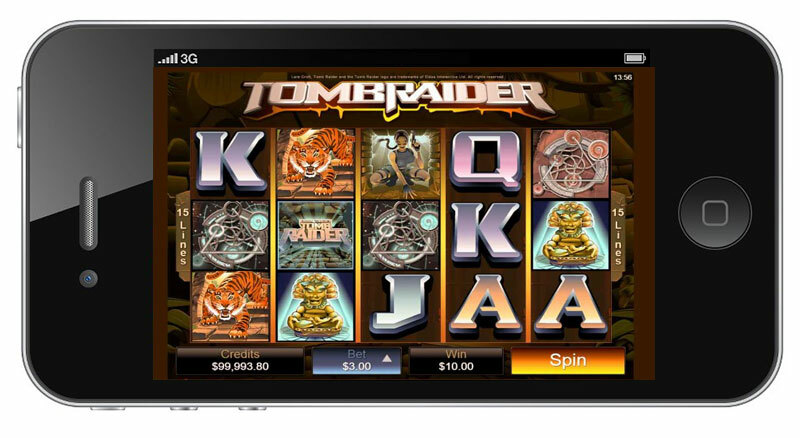 The rapid advent of technologies has brought about the launch of the so-called mobile casinos where players can load and play their favourite casino games directly from portable devices such as smartphones and tablets. Both web-based casino operators and gambling software developers recognise the importance of playing on the go which causes their mobile gaming collections to expand rapidly as more and more titles are added on a regular basis. In the past few years, some of the leading software developers have even begun to automatically adapt most of their newly released slot titles for mobile devices, running on the widespread iOS. This is hardly surprising given that the iPhone is currently the most popular mobile device on the market. Since slots are the most popular type of game among players, mobile-responsive casinos offer an extensive range of fun slot titles that have been adapted for play on portable devices running on the iOS. What is more, casinos that are compatible with iPhones and iPads enable slot fans to manage their accounts seamlessly as well as to fund them and withdraw their winnings in a secure, convenient and time-efficient manner. If you are a slot fan and own an iOS-based device, we suggest you read on to find out how to spin the reels on the go and which the most popular iOS slots are. Playing your favourite slots via an iOS-based smartphone or tablet is quite similar to playing them on your desktop computer. In most cases, there are two options players can choose from. The first one is downloading and installing the dedicated iOS application of the online casino they have registered at. More often than not, these native applications can be downloaded straight from the App Store and players are not required to pay for the download. However, if you experience difficulties in finding the iOS application in Apple’s official store, you can easily download it for free directly from the website of your online casino of choice. In some instances, the application’s download is initiated when the player scans the QR code at the casino’s website. On rare occasions, slot fans can obtain a link for the application’s download via email or a text message. Please note that at some casinos, it is possible to download and install the whole software packages for iOS-based devices, while at others, players are enabled to download individual slot titles. Then again, some players lack memory space at their iPhones or iPads which prevents them from installing more applications. Those, who find themselves in one such situation or simply do not wish to install any apps on their device, can simply access their preferred online casino via their iPhone or iPad’s internet browser. All well-known online casinos in the industry are fully mobile-responsive and are compatible with portable devices running on iOS. Several years ago, when mobile gaming first became a thing, many iOS users experienced difficulties in finding instant-play slots to play on their mobile devices because the iOS is not compatible with Flash media. The good news is software developers have already recognised this as an issue and have adopted the universal HTML5 language for their latest mobile slots. Due to its cross compatibility, HTML5 can deliver everything players would want to do online without installing additional software like browser plug-ins, for instance. However, before you jump on the bandwagon and proceed to play your favourite slots on your iPhone or iPad, there are several things you need to take into consideration. First of all, if you wish to enjoy your mobile gaming experience to the fullest, you will need a stable WiFi internet connection. Otherwise, you are more than likely to experience lags or the reels may even freeze during play. If you opt for instant-play mobile casinos, you are recommended to have an up-to-date version of your browser installed. Having the latest iOS version that your portable device can handle is also desirable as many mobile casinos require iOS 6 or above in order for the games to run optimally. Sometimes, iOS devices may sap data usage when players load a given slot on their smartphone or tablet, which can also turn out to be an issue. However, this problem is easily solved when the player installs a data tracker on their iOS device. Keeping track on their data usage may also prevent them from incurring hidden charges. At most mobile casinos, it is possible to play the slots on offer in Fun or Practice mode without placing any real-money wagers. This certainly poses as a nice opportunity to test the mobile games free of charge while you are travelling or waiting for your bus in order to see which titles suit your individual preferences and interests the most. Usually, the only requirement is to have registered an account at the casino. Another option is to visit the App Store and download one of the numerous slots that are free to play. While it is impossible to make real-money bets on such slots and downloading the application will not cost them a penny, often players are required to invest some of their own funds to buy additional chips or to unlock specific features. Some of the most popular free-to-play slot titles you can find in the App Store include Pharaoh’s Way, Cleopatra, Slotmania and the myVegas slots. 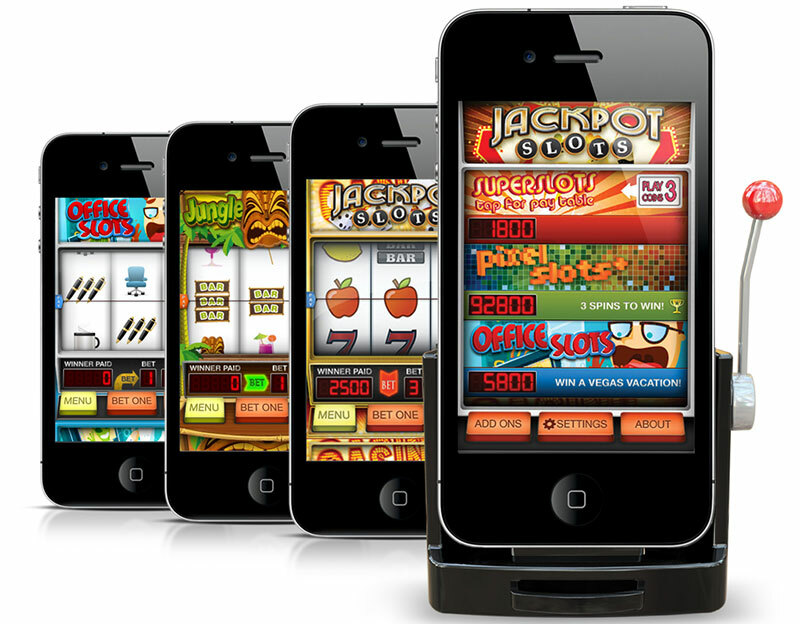 Many of the slots that enjoy the greatest popularity among players have been adapted by software developers to fit the smaller screens of iPads and iPhones. Players may notice the reels are significantly smaller while the Spin button and the buttons used to adjust the coin values and the number of coins to bet per payline are accessed by swiping the screen or via a drop-down menu. Despite that, due to the higher resolution of the iPhones and iPad’s screens, the graphics appear to be even richer and more vibrant, while the touch screens allow for a more dynamic play. If you are interested in spinning the reels on your iOS device, check out the five most popular iOS slots we have listed below. The Aliens slot is available via the NeEnt Touch platform and is fully compatible with smartphones and tablets running on the iOS. This five-reel slot is based on the popular blockbuster from the 90s and provides players with the option to bet on 15 fixed paylines. Many slot fans are attracted by the huge winning potential of the game as the maximum reward Aliens has to offer amounts to 570,000 coins. 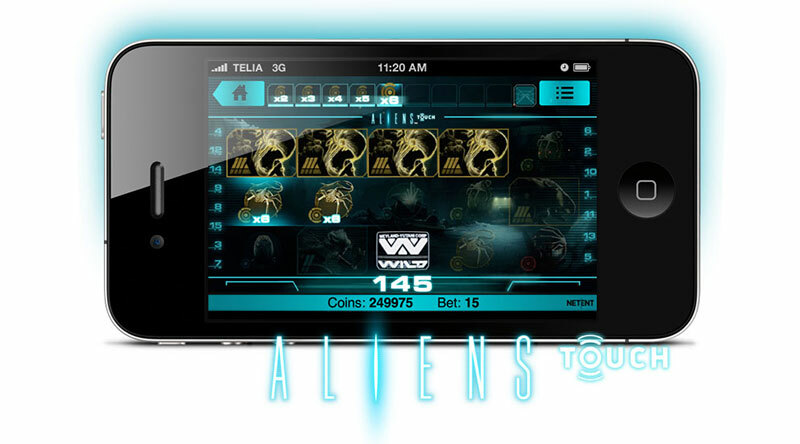 Others prefer to play the game on the go because the graphics it boasts are simply fantastic, not to mention the Aliens slot comes with a nice range of lucrative features, including rounds of free spins, multipliers, and the Weyland-Yutani Corp wild symbol which helps complete winning combinations. What further adds to the slot’s entertainment value is its complex storyline. In fact, players can progress through three different levels and complete various tasks in order to maximise their winnings. The three levels are The Search where players need to fill the Alien Activity Meter at the top of the screen with the highest multipliers, The Encounter and The Hive which offers a reward of 5 re-spins. The coin values in the game range between £0.01 and £1.00, with a maximum bet amount of £150.00 per spin. 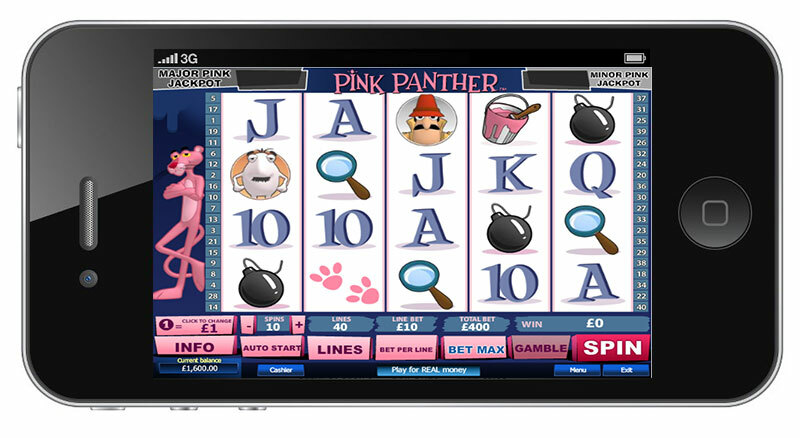 The Pink Panther slot is a result of the joint efforts of established software supplier Playtech and the MGM studios. The game is based on everyone’s favourite Pink Panther comic animation character and features five reels with a total of 40 paylines. Some of the symbols the game utilises on its reels include images of Inspector Clouseau, tins of pink paint, pink paws, the Little Man and a magnifying glass. The Pink Panther slot is packed with great features. Naturally, the main character, or the Pink Panther, has the honour of being the wild symbol in the slot. If players succeed in hitting two, three, four, or five wild symbols on a single spin, they will be rewarded with massive payouts of 15, 150, 500 or 5,000, respectively. The Pink Panther Logo symbol functions as a scatter. Players can also earn up to 29 free spins in the game. Yet, the two progressive jackpots (Major Pink and Minor Pink) in the Pink Panther slot are what attracts the greatest number of players. The jackpots are triggered at random but the higher your stake is, the greater your chances of unlocking the jackpot game. If you wish to give the iOS version of the Pink Panther slot, we suggest you head to the Eurogrand casino. Players have industry frontrunner Microgaming to thank for this fantastic five-reel slot which offers 20 paylines. Hot as Hades has become one of the flagship games of Microgaming, alongside classics like Avalon II and Thunderstruck II, as it demonstrates the developer’s animation capabilities to the fullest. The graphics are rich and crisp, the sounds are full and vibrant, and players are guaranteed to enjoy a seamless gaming session from start to finish. As the game revolves around Ancient Greek deities, various gods like Zeus, Medusa, Poseidon and of course, the ruler of the underworld Hades, are used as symbols on the reels. 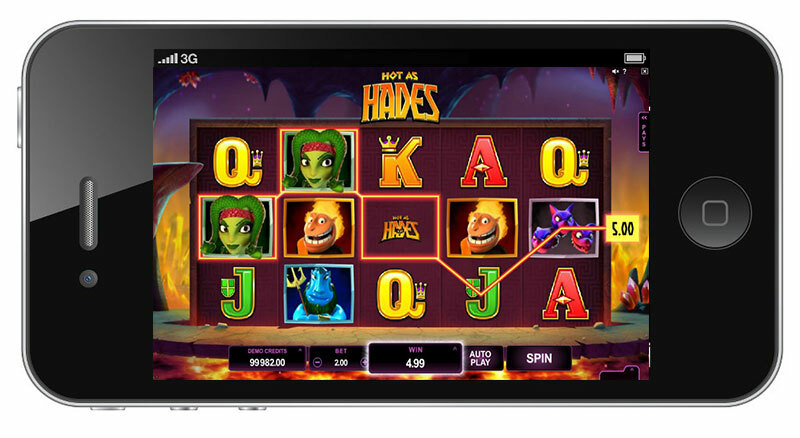 Similarly to most Microgaming flagship slots, Hot as Hades is loaded with great features that boost players’ profitability. These include the Quest for the Crystal Helm bonus game, the Super Mode Free Spins bonus round as well as the wild and scatter symbols. The maximum number of coins players can win is 100,000. If you are willing to give the iOS version of Hot as Hades a go, we suggest you visit the Hippodrome online casino. 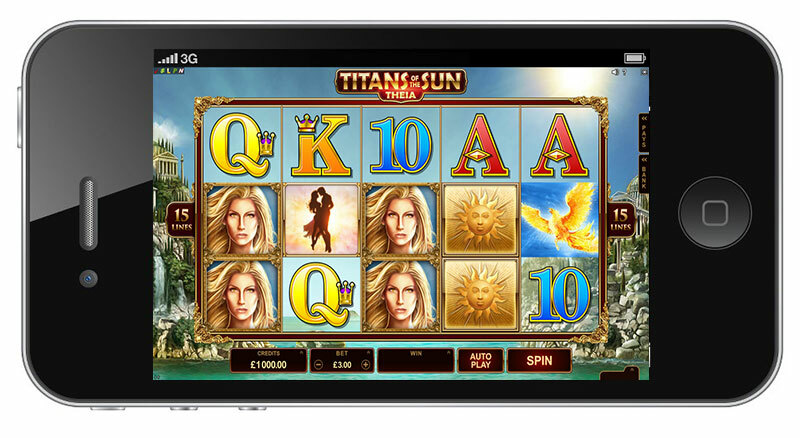 The slots from the Titans of the Sun series rank especially high in terms of popularity among players which is hardly surprising given that they have been created by the leading software developer Microgaming. As a matter of fact, players get to choose between two titles and each one is based on a different Greek titan. One of the options is Titans of the Sun: Theia, which is played on five reels and features 15 paylines with minimum wagers of £0.15 per spin and a maximum prize of 120,000 coins. The game comes with a number of advantages such as the scatters that trigger up to 15 free spins with 2x multipliers on winnings and the Mystery stacked symbols that have the potential to transform into high or low symbols in the base game or to morph into wild symbols during the round of free spins. Titans of the Sun: Hyperion shares the features of its Theia counterpart and also offers 15 paylines. If you are a fan of the adventurous archaeologist Lara Croft, then Microgaming’s five-reel masterpiece that is Tomb Raider: Secret of the Sword will greatly appeal to you. There are 30 paylines in the game while the crisp graphics and life-like animations certainly are a feast for the eyes. A close-up of Lara’s face is the wild symbol in this slot and can substitute for all symbols save for the scatter and the bonus ones. Of course, players get the chance to trigger rounds of free spins, but what is interesting here is the Rolling Reels feature, which can result in series of consecutive wins because the winning symbols dissolve, causing the reels to roll down and potentially form more winning combinations. Players, who trigger the Global Adventure bonus game, can win up to 450x their weighted average bet. The maximum amount players can win in the base game is set at 7,500 coins provided that they land five wild symbols.